U2 performing live at 3Arena, Dublin, Ireland on November 24th 2015. Photography by Shaun M.Neary. Contact us for editorial usage pricing. Taylor Swift performing live at 3Arena, Dublin, Ireland on June 29th 2015. Photography by Shaun M.Neary. Contact us for editorial usage pricing. Ed Sheeran performing live at Croke Park, Dublin, Ireland on July 24th 2016. Photography by Shaun M.Neary. Contact us for editorial usage pricing. Stereophonics performing live at Royal Hospital, Kilmainham, Dublin, Ireland on June 30th 2016. Photography by Shaun M.Neary. Contact us for editorial usage pricing. The Cult performing live at Vicar Street, Dublin, Ireland on March 5th 2016. Photography by Shaun M.Neary. Contact us for editorial usage pricing. Peter Gabriel performing live at 3Arena, Dublin, Ireland on December 10th 2014. Photography by Shaun M.Neary. Contact us for editorial usage pricing. The Stone Roses performing live at Marlay Park, Dublin, Ireland on July 9th 2016. Photography by Shaun M.Neary. Contact us for editorial usage pricing. Neil Young performing live at 3Arena, Dublin, Ireland on June 8th 2016. Photography by Shaun M.Neary. Contact us for editorial usage pricing. Bryan Ferry perforing live at The National Concert Hall, Dublin, Ireland on June 14th 2014. Photography by Shaun M.Neary. Contact us for editorial usage pricing. Bobby Womack at Arthurs Day, Dakota, Dublin, Ireland - September 26th 2013. Photography by Shaun M.Neary. Contact us for editorial usage pricing. Alice Cooper performing live at Stone Free Festival at the o2 Arena, London, United Kingdom on June 18th 2016. Photography by Shaun M.Neary. Contact us for editorial usage pricing. The Boomtown Rats performing live at Leopardstown Racecourse, Dublin, Ireland on August 11th 2016. Photography by Shaun M.Neary. Contact us for editorial usage pricing. The Pixies performing live at Iveagh Gardens, Dublin, Ireland on July 14th 2016. Photography by Shaun M.Neary. Contact us for editorial usage pricing. Red Hot Chili Peppers at Tennents Vital - August 25th 2016. Photography by Shaun M.Neary. Contact us for editorial usage pricing. Bruce Springsteen performing live in Croke Park, Dublin on May 27th 2016. Photography by Shaun M.Neary. Contact us for editorial usage pricing. Little Green Cars performing live at Iveagh Gardens, Dublin, Ireland on July 23rd 2016. Photography by Shaun M.Neary. Contact us for editorial usage pricing. Galway International Arts Festival highlights. For more, go to the Kodaline, The Academic, The Giant Divas & Les Tambours, and Remaking the Shape of the World image galleries. The Strypes performing live at Leopardstown Racecourse, Dublin, Ireland on August 4th 2016. Photography by Shaun M.Neary. Contact us for editorial usage pricing. 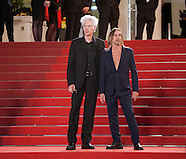 A selection of photographs from the 65th Cannes Film Festival France. 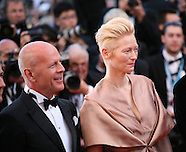 Images include Brad Pitt, Nicole Kidman, Clive Owen, Matthew Mcconaughey, Kylie Minogue, John Cusack, Kristen Stewart, Diane Kruger, David Cronenberg and Robert Pattinson. Additional images available. Photography by Doreen Kennedy. Fun Lovin Criminals performing live at Vicar Street, Dublin, Ireland on January 29th 2016. Photography by Shaun M.Neary. Contact us for editorial usage pricing. Lucinda Williams performing live at Iveagh Gardens, Dublin, Ireland on July 10th 2016. Photography by Shaun M.Neary. Contact us for editorial usage pricing. Mercury Rev performing live at The Button Factory, Dublin, Ireland on November 22nd 2015. Photography by Shaun M.Neary. Contact us for editorial usage pricing. Paloma Faith performing live at Iveagh Gardens, Dublin, Ireland on July 2nd 2015. Photography by Shaun M.Neary. Contact us for editorial usage pricing. Slipknot performing live at The SSE Arena, Belfast, Northern Ireland on February 15th 2016. Photography by Shaun M.Neary. Contact us for editorial usage pricing. Stiff Little Fingers performing live at The Academy, Dublin, Ireland on November 13th 2015. Photography by Shaun M.Neary. Contact us for editorial usage pricing. Television performing live at Limelight 1, Belfast, Northern Ireland on June 13th 2015. Photography by Shaun M.Neary. Contact us for editorial usage pricing. The Frames performing live at Iveagh Gardens, Dublin on July 4th 2015. Photography by Shaun M.Neary. Contact us for editorial usage pricing. Magic Numbers performing live at The Academy, Dublin, Ireland on December 3rd 2014. Photography by Shaun M.Neary. Contact us for editorial usage pricing. The Prodigy performing live at 3Arena, Dublin, Ireland on November 30th 2015. Photography by Shaun M.Neary. Contact us for editorial usage pricing. The Waterboys performing live at Vicar Street, Dublin, Ireland on November 4th 2015. Photography by Shaun M.Neary. Contact us for editorial usage pricing.